PITTSBORO, North Carolina (Oct. 19, 2016) — In 2003, Dwell Magazine challenged 16 international architects to design a modern prefab home for $200,000. Now, the Original Dwell House is set for an upcoming auction, with AuctionFirst marketing the home and conducting the auction. The winning design came from Resolution: 4 Architecture of New York City. 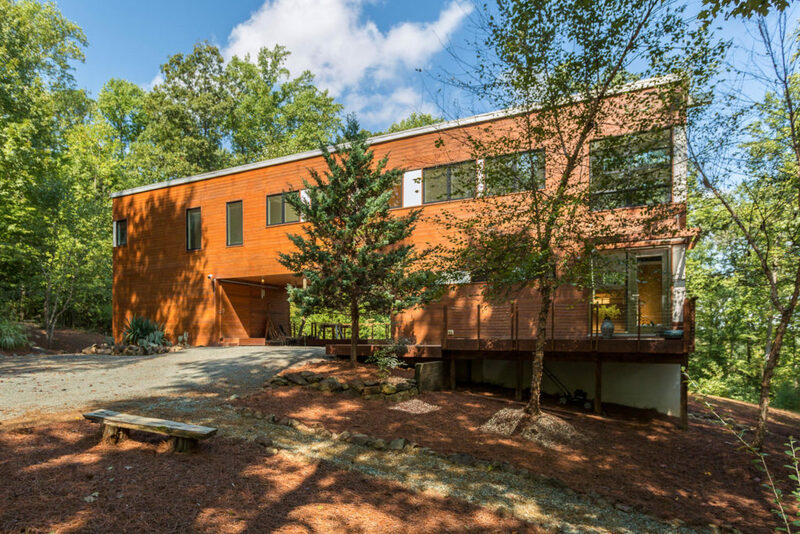 The modules were manufactured and shipped on five flatbed trucks to the hilltop site in Pittsboro, North Carolina, where the home was assembled and finished. The home created such a stir that more than 2,000 people came to view it upon its completion in the summer of 2005. The New York Times, Wall Street Journal and Washington Post all carried major stories about it. “There’s really nothing else like the Original Dwell House, and how it came together is a remarkable story. It will always play a key role in the history of modern home design because it was the first in the U.S. to marry high-end modern design and construction to prefab manufacturing processes. Modern prefab homes had been built all over Europe for decades, but they were not catching on in the U.S. market. Dwell Magazine decided to do something to change the public’s perception of them,” said Sarah Sonke, president of AuctionFirst. The 9.14-acre home site is set on a hilltop surrounded by federal land, preserving the privacy and seclusion. “The home’s floor to ceiling windows and four decks really bring the outdoors in, and the land has access to endless acres of federally preserved Jordan Lake land,” said Sonke. Since 2009, the current owners have used the home as a weekend escape. “They’ve reached a point in their lives where it’s time to let it go, so now we’ll write another chapter in its story,” said Sonke. Bids must be submitted by November 15 to AuctionFirst, 4801 Glenwood Avenue, Suite 200, Raleigh, N.C., 27612. Individuals seeking more information may visit AuctionFirst.com or call 919-601-7339.